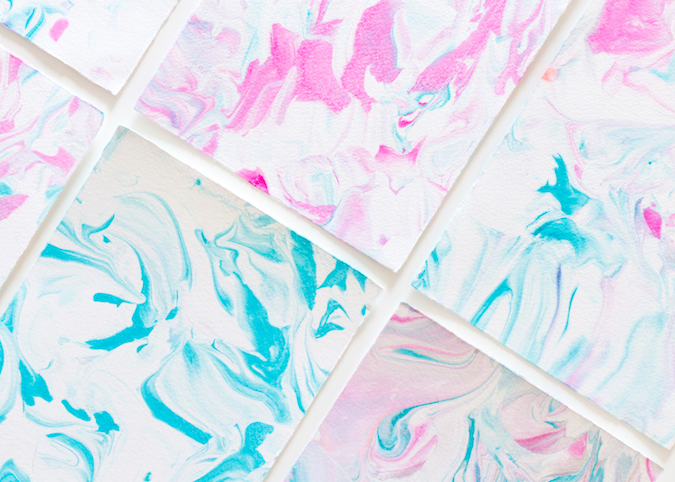 In an attempt to work on a fun creative personal project this past month, I tried my hand at paper marbling. I’ve done marbling before, but I wanted to try a couple of new methods that might improve on my last try. After reading and researching online, I found this tutorial that seemed simple enough. This method involved using Methocel, Alum, Dispersant and Ammonia, which added a lot to costs and prep, but I chose it because it was supposed to add “permanence” to your marbling. 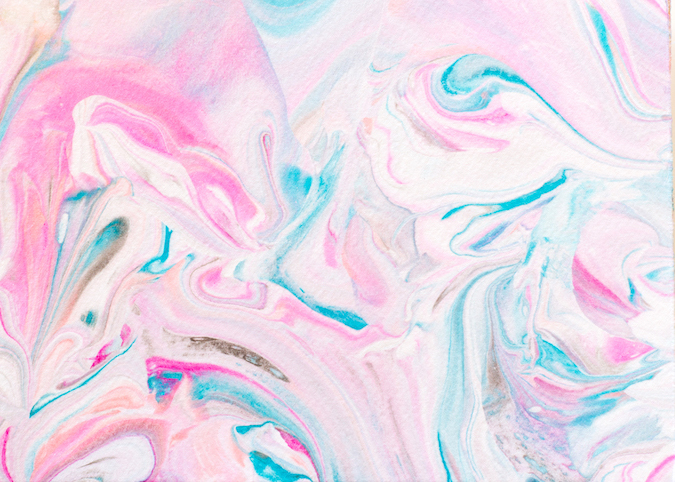 (My last attempt using oil paint led to a lot of color transferring onto my hands after handling the marbled paper). 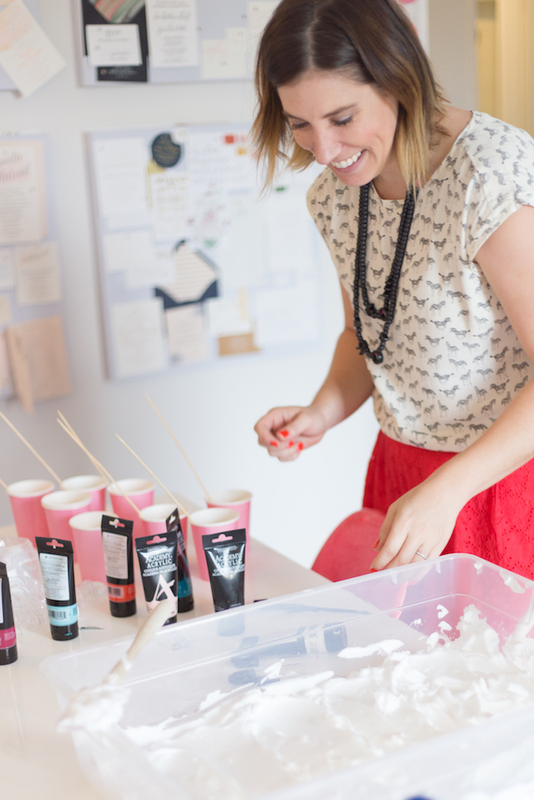 With this method, we had to prepare our mixture 24 hours in advance for best results – who has time for that!? After much preparation, this method was a total FAIL! I just couldn’t seem to get the colors to float on top of the mixture, the chemicals were messy to store and dispose of, and nothing I tried seemed to work. I posted about my failed attempt on my Instagram Story (which I’m loving, BTW), and heard back from several people suggesting the shaving cream method. Shaving cream?! A quick search, and I found this helpful tutorial, which I used as a guide. It worked like a charm. 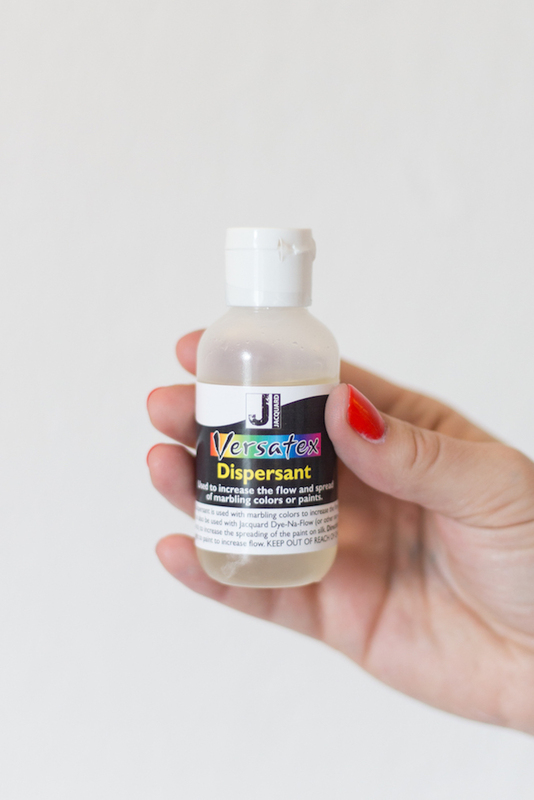 1) Mix acrylic paint with a few drops of Dispersant (pictured below). Then, add a little water until it’s thin enough to flow easily. 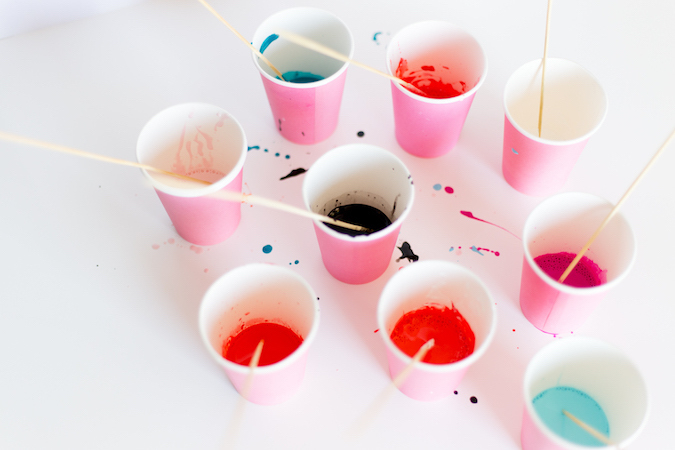 (Note: You can also use plain food coloring, which would make this project very kid friendly)! 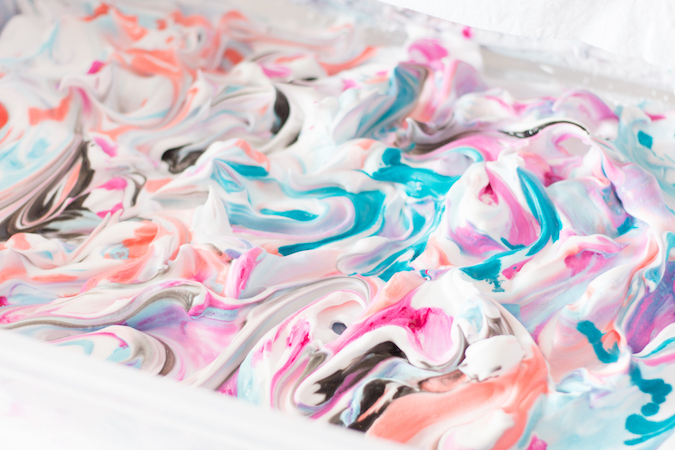 2) Fill a shallow plastic container with shaving cream. 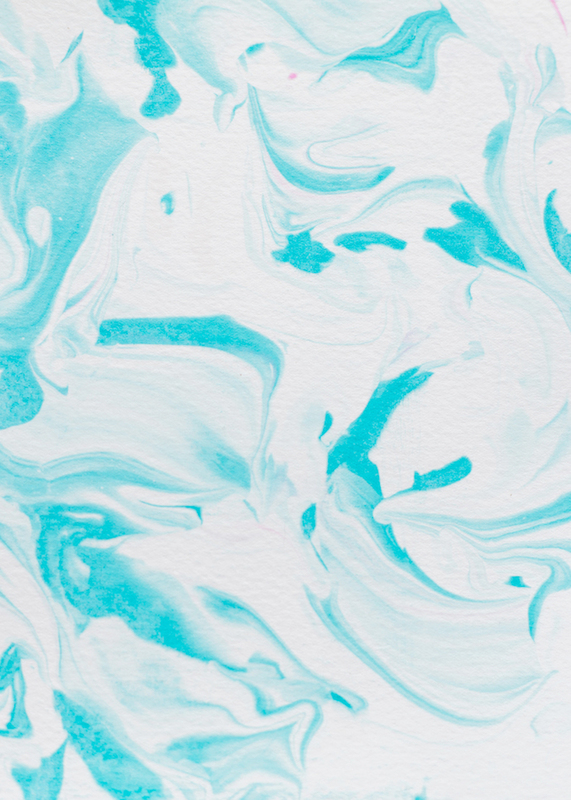 3) Use an eye dropper to drop paint mixture all over the surface of your shaving cream. I found that covering larger areas with color yielded better results. 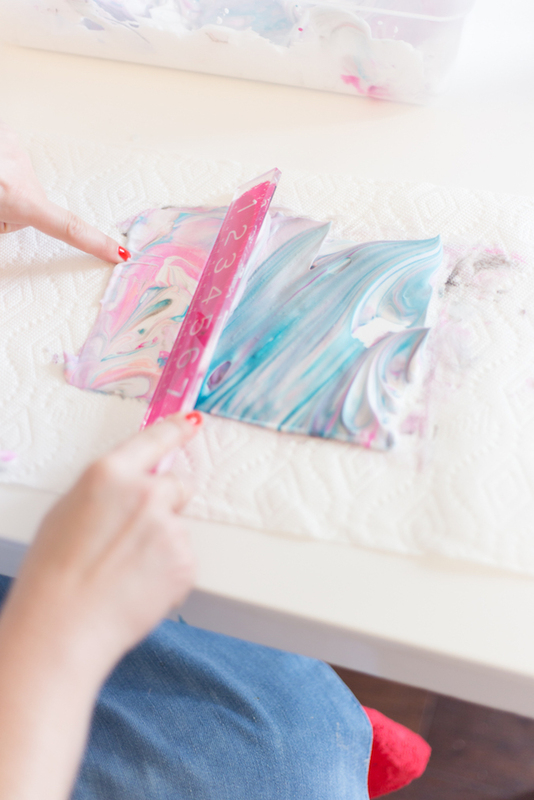 4) Fold the shaving cream with a spatula, which will mix and swirl colors around. 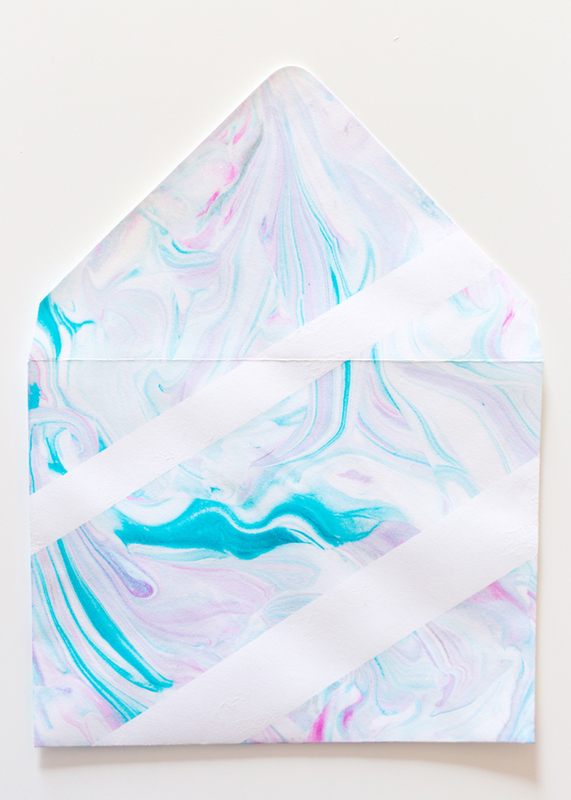 5) Tape off the edges of heavy weight paper or envelopes with washi tape (or painter’s tape). This gives your marbling a crisp edge and prevents bleeding. 6) Place the paper on top of shaving cream and press down to make sure all of the paper is touching the shaving cream. 7) Remove the paper and place on top of a paper towel. 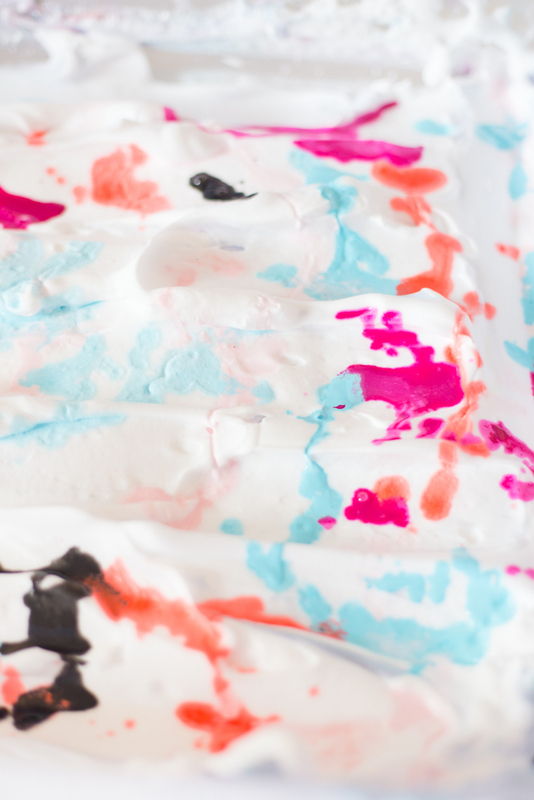 Let it sit for a minute or two to avoid smearing before scraping the excess shaving cream off with a ruler. 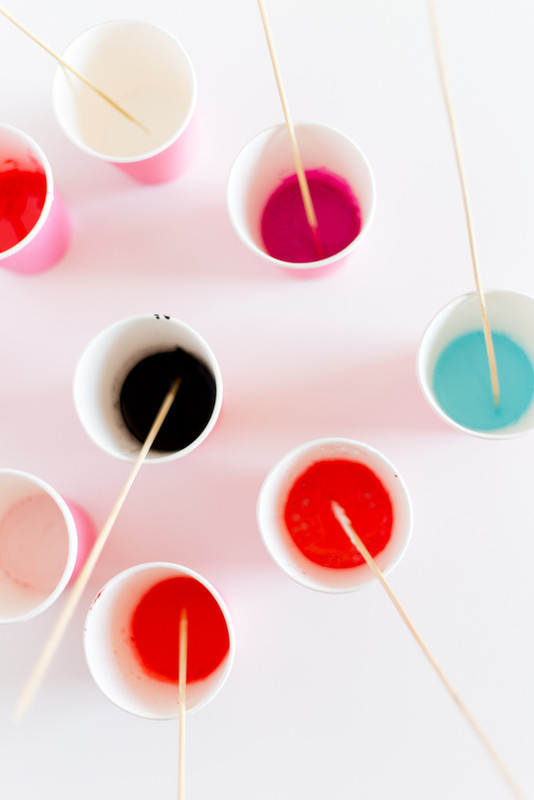 (We found if you scraped cream off right away, it would cause the colors to bleed). 8) Admire your marbled beauty and let it dry! 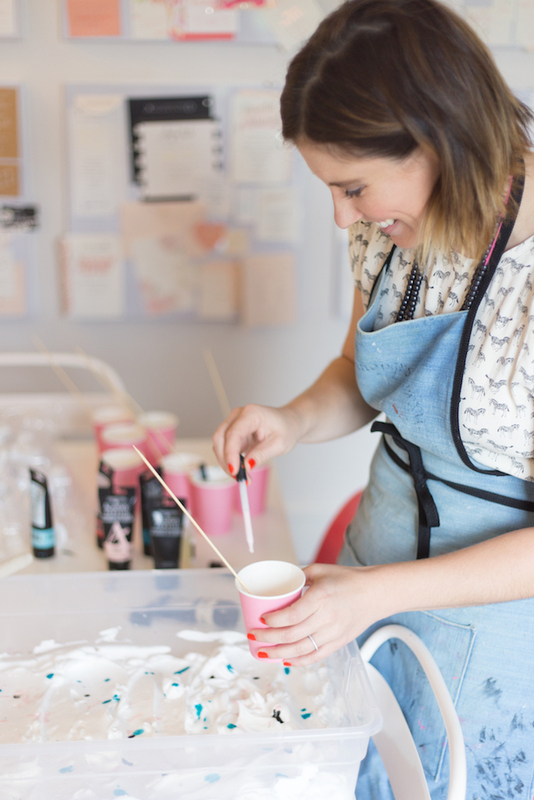 If you’re wondering if your beautiful creation smells like shaving cream once it’s dried, it doesn’t! However, it can be a bit difficult to write on. I tried writing with my calligraphy pen on one of the pieces, and while possible, the ink didn’t always immediately take to the paper. Try spraying aerosol hairspray on the surface first, then let dry. That always help with ink flow and bleeding! Overall, this project was fun, easy, and looks beautiful! 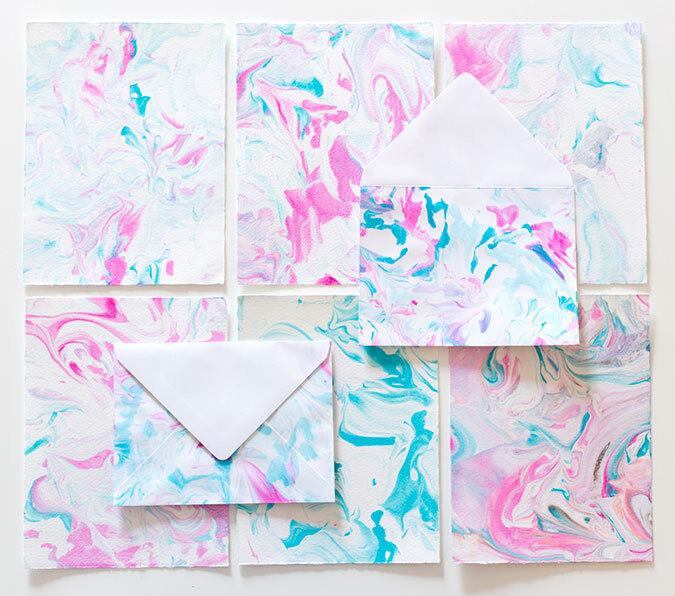 With this technique you could create colorful and unique gift tags, envelopes, greeting cards, wrapping paper, invitations, place cards, and so much more! The color combination possibilities are endless and the process was very kid friendly. 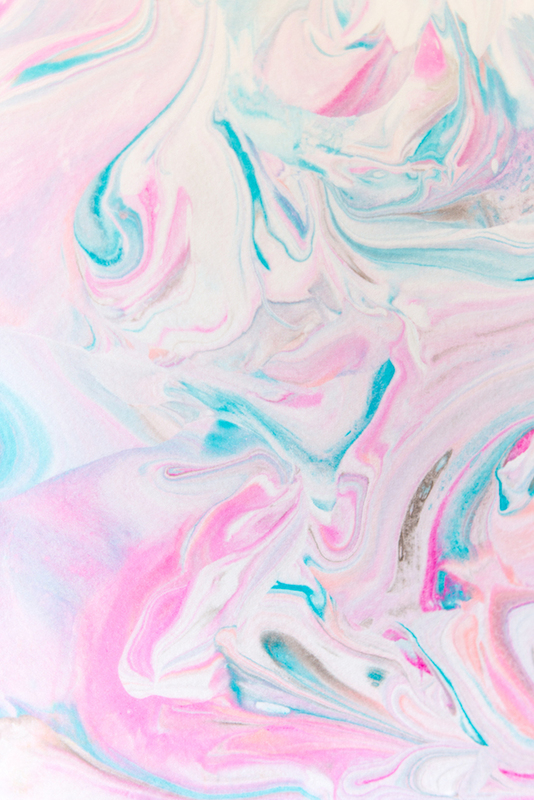 Happy marbling!